All buildings, premises and properties, regardless of use, must comply with legislation designed to protect the people living or working inside. However, faced with such a minefield of government bodies and regulations this process can seem daunting. Sowga can help you stay in control of your compliance requirements – from water treatment and gas supply to emergency lighting and fire alarms – by guaranteeing your building is fully compliant and functioning at the optimum level. As a business, it is your obligation to ensure compliance and now more than ever, our focus is on meeting this duty of care. Since the introduction of the Corporate Manslaughter and Corporate Homicide Act 2007, organisations can be prosecuted at the highest level. With our in-house team of experts, you're in safe hands. 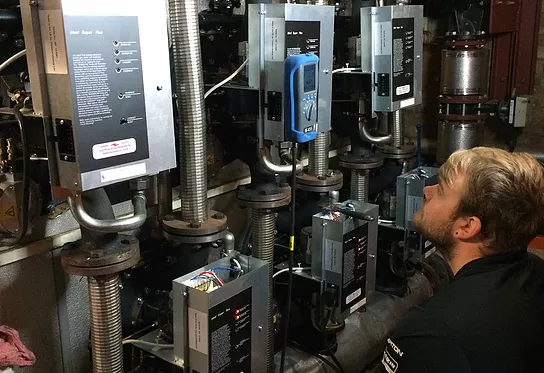 We'll check your technical systems respond as they should in an emergency, and maintain them so they continue to operate at peak performance levels. When you work with Sowga, nothing will ever be left to chance. For more information on how we can ensure your business is compliant, call us on 01798 871000.